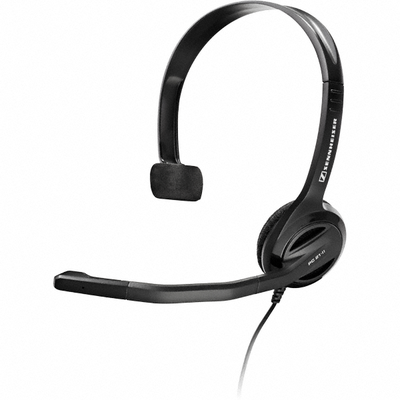 At home or in the office, the PC 21-II headset has been designed for easy internet-based calls. Its single-sided wearing style lets you enjoy the conversation while being in touch with what’s going on around you. And the lightweight, adjustable headband is comfortable to wear all day long. To help make sure you’re understood, the PC 21-II features an improved noise canceling microphone that reduces background noise – and makes the headset extra good when you’re using speech recognition applications. As an added feature, the microphone boom arm is extremely flexible, so that you can easily adjust it to sit any way you like.